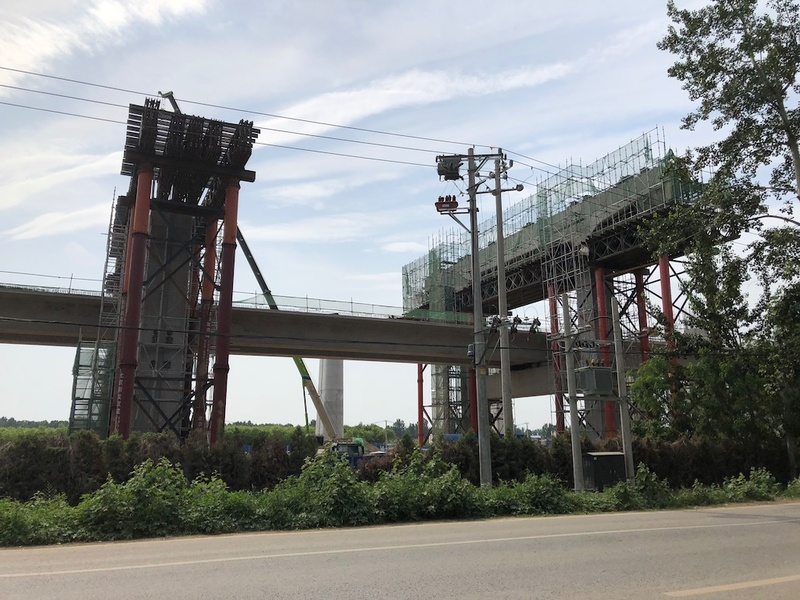 …which in essence shows, to the far end, a new High Speed Rail line being built (Beijing – Xiongan) as well as a motorway with a new airport express Beijing Subway line being sandwiched in the middle layer. You really can’t make this stuff up. This is the kind of stuff that would send the makers of Crossrail and Co into the worst dreams at night — as in We should’ve done this way or so. Because what Beijing is showcasing here is actually an incredibly smart way of designing infrastructure. 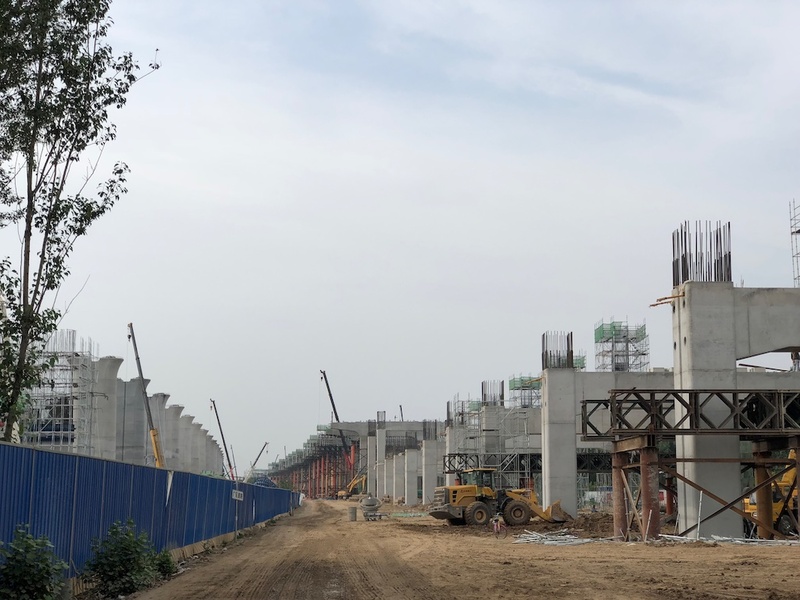 Knowing we’ve only one planet suitable for human habitation and the worsening of the environment in recent years (the US pulling of Paris does not loosen our load one bit; rather, it makes it far worse), Chinese planners are doing everything to reduce footprint. City planners also seemed to have learnt from their piecemeal construction of transport links to the old Capital Airport (but hey, back in Mao’s days, virtually nobody flew around; there wasn’t enough money, and China as in the PRC was really isolated on the world stage, so they had less tough demand to start with). To Capital Airport, what we had was a two-lane highway to start with (one lane each way, all on one embankment; horrific at traffic jams, but completely covered by trees). By the time Deng’s reforms were reality for 12 years, it was clear that money-making in China wouldn’t be possible just with that ridiculously minuscule highway, so we built the six-lane Airport Motorway next to it (and introduced ETC, which the then-Swissair, as I heard, was a huge fan of — our people, our efficiency!). The Airport Motorway worked fine, until car ownership mushroomed into the 2000s, so we had to build a tube link (the Airport Express) along the main motorway route, as well as add the Airport North Motorway and an Airport Second Motorway (“Second Airport Motorway” might sound more like we’ve two airports — which we don’t really have in terms of world hubs). Terminal 3 seemed to have futureproofed future rail links, but so far, it’s just the Airport Express in service.